House sales to foreigners skyrocketed by 81.9 percent year-on-year in January to 3,168. Iraqi citizens, which bought around 8,205 houses in total last year, maintained leadership among nations and purchased 628 houses in Turkey in February, while the same figure stood at 308 in the same month of last year. Iraqi citizens were followed by Iranian, Russian, Afghan and Jordanian nationals with 307, 236, 166 and 150 house sales, respectively, the data showed. When the first two month are examined, Iraqi nationals topped the list and purchased 1,233 houses in Turkey, followed by Iranians with 612, Russians with 431, Afghans with 357 and Jordanians with 280 houses. The country’s most populous city, Istanbul was again the top choice for foreign citizens in February as 1,440 houses were sold in the country’s largest city, corresponding to an increase of 138.4 percent compared to the same period of last year, when 604 houses were sold to foreign buyers. Istanbul was followed by the holiday resort city Antalya with 672, the capital Ankara with 196, Bursa with 192 and Yalova with 138 and Sakarya with 80. When the property sales to foreigners in the first two months are analyzed together, Istanbul led the way with 2,801 units sold, followed by Antalya with 1,273, Ankara with 378, Bursa with 369, Yalova with 300, Sakarya with 215 units. Evaluating the figures, Atmaca Group Chairman of the Board Adem Atmaca said the increase in the rate of foreign investors in home sales is an antidote to the occasional stagnation in domestic demand. In a written statement, Atmaca noted that the increase in the property sales to foreign buyers is, in terms of investors, seriously contributing to the development of new projects and sustainability of existing projects. “With 81.9 percent increase in January, we reached the highest monthly sales. With 92.1 percent increase in February, we managed to post an increase both compared to February of last year and last month. From this point of view, we can say that the upward trend will continue in 2019, said Atmaca. Legislative amendments that eased citizenship with investment limits for foreigners, campaigns launched by real estate developers and banks and spiking foreign currency brought an annual record – a 78.4 percent increase in 2018 compared to the previous year. Some 39,663 properties were sold to foreign investors last year – the highest number ever. In 2017, foreigners bought 22,234 units. Meanwhile, overall house sales in Turkey saw an 18.2 percent year-on-year decrease in the second month of the year, dropping to 78,450, the statistical body said. Istanbul had the highest share of overall house sales with 18.4 percent and 14,462 sold houses, followed by Ankara with 7,690 house sales and İzmir with 4,403 house sales with the share of 9.8 percent and 5.6 percent, respectively. The data also showed that mortgaged house sales throughout Turkey decreased by 68.2 percent compared to the same month of the previous year. House sales with mortgages had an 11.3 percent share of all house sales in the country, TurkStat noted. Nihat Özdemir, Chairman of the Board of Limak Holding said; Movements to Istanbul Airport will be completed on 3 March 2019 and the new airport will be opened to civilian flights from this date onwards. Istanbul Airport, which the first phase was opened on October 29, 2018 and the first flight took place on 31 October 2018, was planned to be fully operational on 1 January 2019. In the following period, the works on the completion of the transportation of Atatürk Airport in the 30 and 31 December were postponed to March 2019. Foreigners bought 39,663 properties in Turkey last year, up from 22,234 units in 2017. The Turkish property market enjoyed a buoyant year in sales to foreigners last year, breaking all-time monthly records, particularly in the last quarter. Legislative amendments that eased citizenship with investment limits for foreigners, campaigns launched by real estate developers and banks and spiking foreign currency brought an annual record – a 78.4 percent increase in 2018 compared to the previous year. According to Turkish Statistical Institute (TurkStat) data released yesterday, 39,663 properties were sold to foreign investors last year – the highest number ever. In 2017, foreigners bought 22,234 units. In the first quarter last year, 5,298 housing units were sold to foreigners, rising to 6,158 in the second quarter. Foreigners bought 12,339 and 15,508 in the third and fourth quarters, respectively. Housing sales decreased by 2.4 percent in 2018 compared to the previous year, falling to 1.37 million units. Istanbul was the top choice for foreigners as 14,270 properties were sold in Turkey’s largest city last year, followed by Antalya where foreigners bought 7,938 housing units, then Bursa with 2,720 units, followed by Ankara and Yalova with 2,133 and 2,063, respectively. 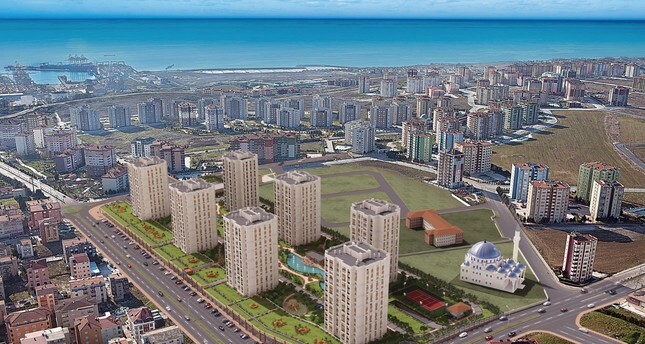 Of every 100 housing units, 36 were sold in Istanbul and 20 were sold in Antalya on the Mediterranean coast. Iraqis purchased the most properties last year: some 8,205 properties, 20.7 percent of total sales to foreigners. Iraqi citizens were followed by Iranians with 3,652 and Saudis with 2,718 houses. Russians came fourth with 2,297 housing units. Nazmi Durbakayım, the head of the Istanbul Constructors’ Association (İNDER), said property sales last year came close to the record 1.4 million units sold in 2017; however, momentum was lost in the last quarter due to the negative impact of deposit rates, which increased to the 25-30 percent band. “Despite pressure from short-term increases in alternative investment instruments such as deposit interest and foreign exchange, the high level of house sales is promising for 2019,” Durbakayım noted. The first quarter of this year could be challenging, according to the İNDER chairman, who said deposit rates, which are still high ahead of local elections, may drop to reasonable levels in the second quarter. Durbakayim forecast a profit realization in foreign exchange savings and that the short-term investment trend will again turn into long-term investments, such as real estate. “We think that investors who know that the repressed housing prices of 2018 will make a big leap this year and be effective in this increase. 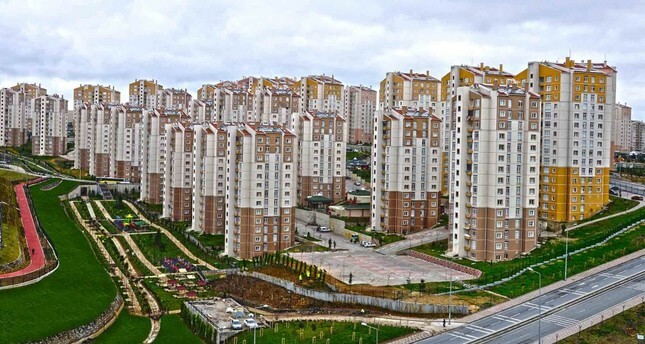 At the end of 2019, we expect house sales figures to be around 1.5 million units and the number of houses sold to foreigners will exceed the 50,000 band,” İNDER head Durbakayım noted. Babacan Holding Chairman İbrahim Babacan said 2018 served as an exemplary period of alliance to keep the sector alive and provide a high added value to the economy, adding the sector increased sales by 2.9 percent in December, a promising development for 2019. Babacan stressed purchasing activity, which was observed in foreign investors due to the new regulations, especially in the last quarter of 2018, created a significant domino effect on sales throughout the year. Babacan said that they achieved a historic development in the sector by providing an increase of 78.4 percent in foreign residential sales, while this increase also manifested itself in Babacan Holding’s projects currently on sale. Babacan noted that many foreign investors wish to invest in Turkey but prefer to wait due to the harsh legal rules, saying they managed to attract these investors to the country with new regulations. Özyurtlar Holding Chairman Tamer Özyurt said that the interest of foreigners continues and that they have achieved the expected record in foreign residential sales. Noting that the issue of foreign investors is important and that there is high demand, especially from the Gulf countries, Özyurt stressed that the citizenship regulation makes a serious contribution to both residential and commercial purchases. Özyurt underlined that the regulation also encouraged foreign investors to buy commercial property in addition to residential sales, saying foreign exchange rates’ disposition in favor of foreigners and Turkish citizens evaluating their savings in foreign currency was another reason for this record increase. “We will see its effects in a better and increasing manner over time. What’s important is that foreign residential sales are regarded as exports and included in foreign exchange earning activities,” he added. Turkey has planned to bring the unemployment rate to single-digits and will become the 12th largest economy in the world in terms of purchasing power parity (PPP) in 2019, President Recep Tayyip Erdoğan said on Tuesday during his address at ruling Justice and Development Party’s (AK Party) parliamentary group meeting. “We both grew the economy and solidified its foundations. There are still some issues caused by the recent fluctuations but nothing too dire. We are planning to achieve a single digit in unemployment rate and we will succeed in this,” Erdoğan said. The unemployment rate in Turkey stood at 11.4 percent in September, according to the Turkish Statistical Institute (TurkStat). The president said the Turkish economy survived the economic attacks in August. “We would have found ourselves in other sorts of troubles if we did not brace the attacks in August with such solid foundations,” he said. 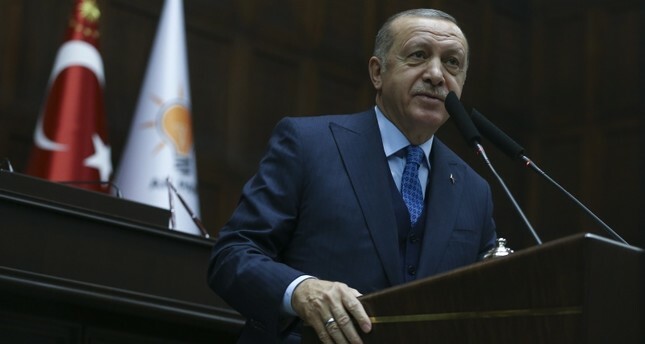 Erdoğan said that the government is determined to reduce the inflation rate to the targeted level in 2019. Turkey’s annual inflation was 21.62 percent in November, according to the latest data from TurkStat. With only a few days left for the new year, public banks announced some good news for the housing sector by applying the last interest rate cut of the year. Following Ziraat Bank’s initiative last week, VakıfBank and Halkbank announced that they will offer housing loans up to TL 500,000 (approximately $93,700) with a monthly interest rate of 0.98 percent and a maturity period of up to 120 months. The private banks are also expected to take part in the special discount spearheaded by three public banks, the housing companies pledged support for the campaign right after the banks. Companies such as Nef and Sur Yapı began to take part in the campaign where housing companies working with the banks will assume a part of the cost as a contribution margin. The arrival of the long-awaited news revived the activities in sales offices. Having left behind a tough year, the housing sector hopes the interest rate cuts will boost the residential sales. The officials indicated that this year, the housing sector will exceed 2017’s sales figure of 1.4 million units. In October, housing sales amounted to about 1.1 million units. Commenting on the issue, İNDER and Teknik Yapı Chairman Nazmi Durbakayım recalled that they had always conveyed the idea that the interest rate cut in residential sales would revive the sector “Therefore, we were pleased by these discounts. We expect other brands to follow suit in the coming days,” he added. “Many people were waiting for the interest rates to come down as well. However, we think we will see a serious vitality before the new year. They have been calling us since the news came out. The details are yet to arrive, but we are giving the good news of 0.98 percent,” he said. Altan Elmas, the chairman of KONUTDER and Sur Yapı, said as KONUTDER, the positive response to their demand for Ziraat Bank to reduce housing loans has been a very pleasing development for the sector. He said that banks pulling the housing loan interest rate below the psychological limit of 1 percent was an important step in terms economy and the sector’s revival. “As home builders, we have been trying to facilitate the residential purchases for our citizens by making sacrifices with our own campaigns. In the next process, sector players and banks should act together, share the cost gap and keep the interest rate at 0.98 percent,” said Elmas. Elmas noted that they expect private banks to take part in this initiative, led by Ziraat Bank. Dap Holding Chairman Ziya Yılmaz, on the other hand, said that the housing sector always leaps up in the periods when the interest rates are kept below 1 percent. “The ministry and the banks have undertaken a very good task on this issue. We think that this situation will be very productive for the sector along with a positive psychological and sales-oriented impact on the market. 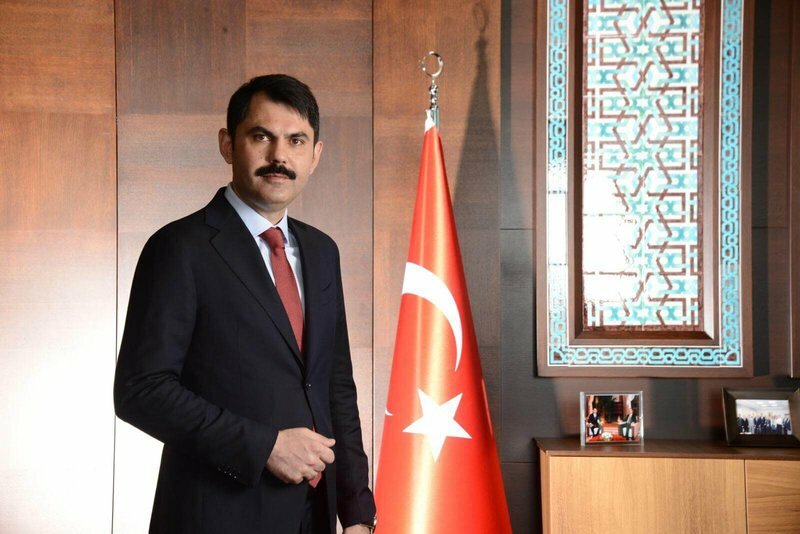 However, it will be important for the sector to announce the campaigns as well as the involvement of other banks in the process,” Yılmaz said. Sur Yapı took part in the interest rate cut, initiated by the banks, with 15 projects. The campaign, which is valid until January 15, covers all the residences, shops and offices of Sur Yapı’s 15 projects in Istanbul and Antalya. As part of the campaign, banks lowered their mortgage interest rates from 1.98 percent to 1.78 percent. Sur Yapı, which is a customer of the bank, decided to meet 0.80 percent of its maturity cost and reflect its maturity to 0.98 percent on buyers who want to benefit from the new campaign. 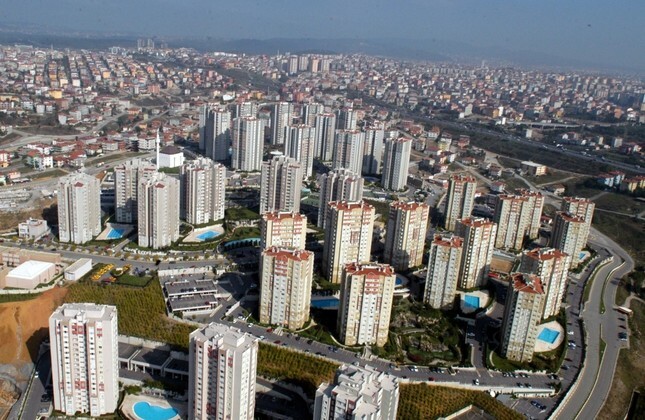 In the first 10 months of the year, a total of 1.14 million house units were sold in Turkey. Last year, the total number came in at 1.4 million, a historical record. Turkish exporters’ prize goal is to make $200 billion in exports within a few years, the head of a large business association has said. Over the last five years, Turkish exporters boosted their exports from $150 billion to $170 billion, Ismail Gülle, chairman of the Turkish Exporters’ Assembly (TIM), told the second Istanbul Economy Summit on Dec. 14. Özturk Oran, the chairman of state-run participation bank Vakıf Katilim, said Turkish lenders play an important role in structural reforms in the country. Turkish Parliament Speaker Binali Yıldırım noted Turkey’s place among the world’s top 20 economies. Yıldırım also said Turkish businesspeople can invest around the world. Under regulations that went into effect this September, foreigners who own real estate in Turkey worth a minimum $250,000 – down from $1 million – are eligible for Turkish citizenship. Some 6,276 houses were sold to foreigners, including 36 percent (or 2,283 units) in Istanbul, the country’s largest city by population. Following Istanbul, the Mediterranean holiday resort of Antalya came second with sales of 1,160 properties, while the southern Marmara province of Bursa ranked third with 448 units. In 2016, some 18,189 units were sold to foreigners while the figure recorded a 22.2 percent decrease in 2017 and hit 22,234. Moreover, the number of residential properties sold in Turkey soared 19.2 percent annually in October, the TurkStat report said yesterday. A total of 146,536 units of houses were sold in Turkey in this period. Housing sales in Turkey saw declines in August and September with a 12.5 percent and 9.2 percent decrease, respectively, compared to the same period last year. The deductions in value-added tax and discounts on title deed fees revived the market in October. He said easing the requirements for foreigners to acquire Turkish citizenship had helped spur sales. Tavukçuoğlu added that the number of properties sold to Germans, British and Swedes spiked sharply on an annual basis in October – up 222 percent, 131 percent, and 137 percent, respectively – thanks to the “recovery in tourism” this summer. “We may sell 40,000 units to foreigners in 2018, this is a historical record for our country,” he said. Industrial Development Bank of Turkey (TSKB) Real Estate Valuation General Manager Makbule Yönel Maya underscored the huge impact of the housing campaigns on the soaring sales exceeding expectations. As for the above-expectations surge in sales, Maya pointed to other factors in addition to the real estate campaigns and reduction of citizenship limits. The campaign for the deduction of value-added tax and discount on title deed fees had previously been announced to cease on Oct. 31. Those who wanted to benefit from these reductions had to have completed their title deed procedures in October. Therefore, the surge in the sales resulted in historic highs. In a bid to boost property sales, the government lowered value-added tax from 18 percent to 8 percent and title deed fees to 3 percent from 4 percent. Treasury and Finance Minister Berat Albayrak announced the renewal of the campaign on Oct. 31, extending it to the end of the year. Leading real estate firms also launched a comprehensive campaign that lasted from Aug. 31 to Oct. 31 to increase their sales. The campaign included an interest rate support for real estate loans, discount on prices and eased down payment conditions. Association of Housing Developers and Investors Association (KONUTDER) Chair and Sur Yapı Chair Altan Elmas evaluated the housing sales to foreigners and drew attention to the consecutive records of the sector. Elmas said that the sector will generate $6 billion from housing sales to foreigners and eyes to reach $10 billion next year. He noted that providing Eximbank loans for the real estate sector and supporting overseas promotion activities will certainly further reinforce the sector, raising sales to foreign buyers. Nazmi Durbakayım, the head of the Istanbul Constructors’ Association (İNDER), stressed the increasing demand of foreigners in the Turkish real estate market. He also noted that the sales to foreigners is likely to exceed 40,000. So far, Durbakayım added, the real estate developers have earned more than $4 billion from sales to foreign buyers. The İNDER chairman said the sector’s aim is to reach $15 billion in sales to foreigners and this target could be more easily achieved if housing sales to foreigners are categorized as exports and appropriate loans are provided for the sector. He also highlighted that the reduction of citizenship limit to $250,000 from $1 million in September has been an important trigger in fueling foreign purchases. The Turkish government reduced the limits for foreigners to acquire Turkish citizenship to encourage investment, according to new regulations published in the country’s Official Gazette on Sept. 19. Accordingly, foreigners who own real estate in Turkey worth a minimum of $250,000, instead of a previous limit of $1 million, can now avail Turkish citizenship. Turkey’s housing sales to foreigners have presented an upward trend since 2012, the year when parliamentary law made it easier for foreign investors to purchase real estate in the country. Even though the amendment which offered citizenship to foreigners via four types of investment choices, including a real estate investment of $1 million had contributed to increasing real estate sales to foreigners last year, the representatives of leading real estate providers on a number of occasions emphatically suggested that the $1 million bar should be reduced on the grounds that it will further encourage sales and foster growth in the construction sector. The amount of real estate investment required to become a Turkish citizen has been reduced from $1 million to $250,000 in September. This amendment in the citizenship law has increased the investment appetite of Arab investors toward the Turkish real estate sector. 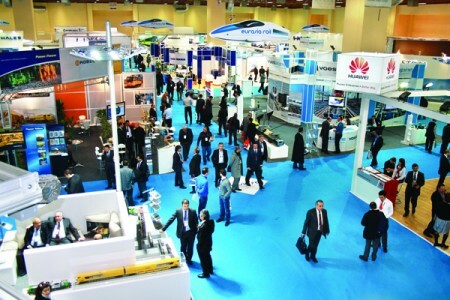 To that regard, 1,500 Arab investors from 19 Arab countries are coming to Istanbul in collaboration with the Turkish-Arab Countries Business Association (TÜRAP) from Nov. 19-22 to evaluate the investment opportunities in the country. TÜRAP and the TurabExpo event will bring together 1,500 Arab investors with housing developers in Turkey at the 2nd Real Estate, Project, Investment, Finance Expo. At the expo, which only registered participants can attend, housing producers in Turkey will have the opportunity to hold face-to-face talks with Arab investors to evaluate the investment opportunities. TÜRAP will be able to mediate the sale of the houses of the companies participating in the exhibition in the Arab countries through the organization they established in 19 Arab countries. TurabExpo’s 5th Construction-Building Materials and Technologies & Interior Design-Furniture Expo will also be held on Nov. 19-22 at Pullman Istanbul Airport & Convention Center.TÜRAP Chairman Sabbouhi Attar said that these two fairs, which will be held concurrently, will play an important role in the promotion, marketing and sale of housing projects in Turkey, recalling that they have been working on developing cooperation between Turkish and Arab countries for 12 years.”We are developing projects that will enhance Turkish-Arab cooperation in the construction and real estate sectors and increase the foreign property sales in Turkey. The two-day expo will allow bilateral talks. Besides, our participating companies will be able to maintain their communication and business contacts through a web-based virtual exhibition,” Attar continued. “Under the umbrella of TA Group, established within TÜRAP, we provide legal and consultancy services to Turkish investors in Arab countries with our staff of 30 expert lawyers. With our Real Estate Investment Consultancy branches, we also offer services to Turkish companies in terms of housing sales and marketing.” Attar pointed out that Arab investors suggested that the most important factor for increasing foreign residential sales is branding, becoming an international brand and increasing brand awareness. Attar noted that the interest of Arab investors is mainly limited to Istanbul, as the highest-quality projects have been mostly built in the city so far, adding that this interest has spread to different cities in Turkey. 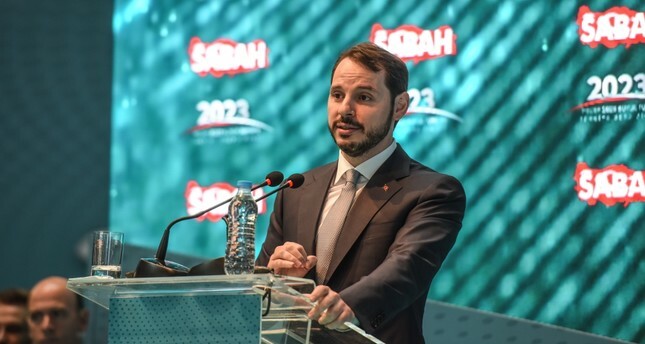 Treasury and Finance Minister Berat Albayrak stressed that the Turkish economy will see inflation drop in the last quarter of the year as a result of the government’s expansive efforts to mitigate inflation and economic rebalancing. In a bid to combat inflation, the Turkish government launched a campaign last week by recruiting the private sector and banks. Called the “Full-Scale Fight against Inflation,” the program offers price discounts in the retail sector, including food and textile, no increase in electricity and gas bills, and lower interest rates for bank loans. Among the measures announced to curb inflation was a campaign for a minimum price cut of 10 percent nationwide. To support businesses and maintain investments, banks will decrease interest rates by 10 percent on loans issued after Aug. 1, Albayrak said yesterday. According to the latest reports, more than 500 companies have so far joined the anti-inflation campaign. “In combating inflation, we will continue to maintain the downward trend with figures first in October and then in November and December, and we will collect the fruits of this fight together in the entire economy,” he said. In September, inflation hit 24.52 percent on a year-on-year basis, up 6.3 percent from the previous month, according to the Turkish Statistical Institute (TurkStat). Inflation climbed for a sixth straight month, hitting the highest level in almost 15 years. October’s inflation figures will be announced on Nov. 3. As noted in Turkey’s New Economy Program (NEP) announced last month, the country’s inflation rate target for this year is 20.8 percent. The target for next year is 15.9 percent, 9.8 percent for 2020 and 6.0 percent for 2021.”At the end of this process, which we started to support with structural steps, we will see together that we are saving our economy from two shackles called inflation and interest step by step,” he added.In his speech at the opening ceremony of “Vision 2023 Great Turkey Summit,” the minister pointed to the importance of choosing the new airport as the venue for the organization.The first phase of the new airport project will be inaugurated with President Recep Tayyip Erdoğan in attendance at the end of the month, Albayrak recalled, stressing that the project will be one of the clearest messengers of 2023 Turkey. He pointed out that 2023 Turkey is a realistic and visionary target commissioned all together and approached step by step, not a trivial dream. Real estate developers have launched a discount campaign with a lower interest rate to revive the market. The countrywide campaign was announced at a meeting in Istanbul on Aug. 28 with the participation of Environment and Urban Affairs Minister Murat Kurum. The campaign will take place between Aug. 29 and Oct. 31, the minister said, adding that a 10 percent discount would be applied on all properties.“The campaign will cover nearly 100,000 independent structures. The main theme of the whole campaign will be to make a 10 percent discount in the sale prices of all properties,” Kurum said. The advance payment for each property will not exceed 10 percent of the sale price and a 0.98 percent warrantless interest rate will be applied for a 120-month due, he noted.“Besides, potential homebuyers who pay their advance payment in foreign currencies or gold will not be negatively affected by any parity fluctuations,” Kurum added. Homebuyers will also be able to make interim payments worth of 15 percent of the whole amount in the 12th and 24th months after their purchase transaction, the minister said. Some 25 percent of the stock properties are expected to be sold during the campaign term, he also noted. Mortgage rates hit over 2 percent in almost all banks. The new campaign will be bank-free. 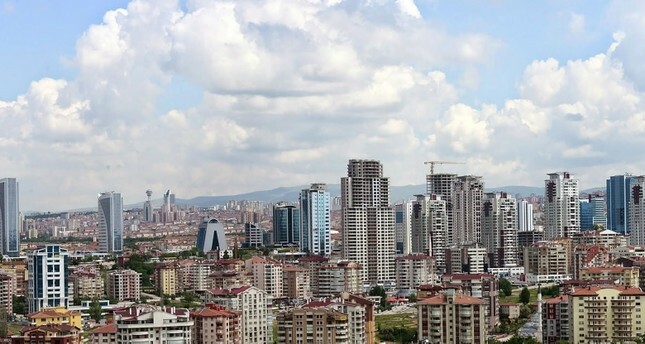 Property sales across Turkey rose 6.9 percent year-on-year in July, while mortgaged home sales saw a 21.2 percent yearly decline, official data showed on Aug. 15. In the first seven months of the year, a total of 769,910 units were sold, almost the same with last year, but the mortgaged home sales were around 232,000 units in the same period with an 18.2 percent yearly decline. 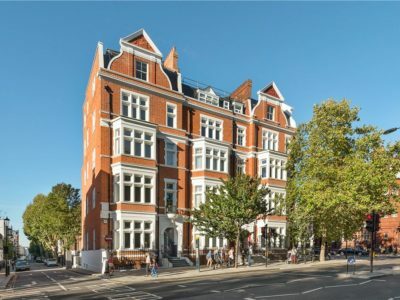 Property sales have been increasing since June after they declined for the previous four months in a row, with the help of a similar campaign which was launched ahead of snap elections that month. Three umbrella organizations of 41 Turkish housing and construction companies on May 15 announced that homebuyers would be given a 20 percent discount on house prices in the upcoming month. Down payments for mortgages were also reduced to 5 percent, according to the statement. Turkish banks also slashed mortgage rates to 0.98 percent to back the campaign.